"The US government puts the finger on the United Nations." 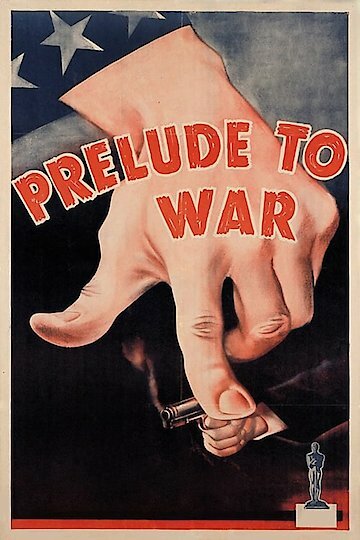 Prelude to War is a Frank Capra film. During World War II Capra made a series of propaganda films to promote the U.S. war effort. The propaganda series of films were titles Why We Fight. The motivation for the film series was to explain the serious threat presented by Germany and the Axis Powers, and to encourage young men to participate in the war. Prelude to War was the first film in the series. The film helped to sell the war and helped Americans to understand what the issues behind the war were. The film is interesting on a number of levels. Besides being a good Frank Capra film, it is a time capsule about the American psyche during World War II. Prelude to War is currently available to watch free on Tubi TV and stream, download, buy on demand at Amazon Prime, Netflix, Amazon online.